Antique server. 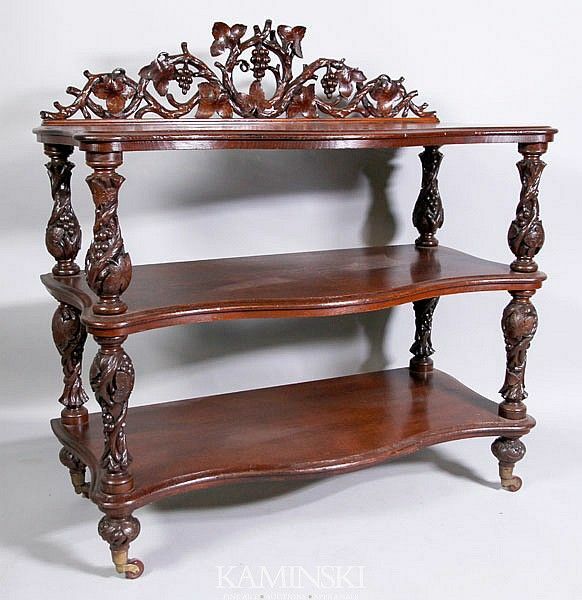 The piece is likely Black Forrest carved. Solid construction original caster feet. It will glide over your floors. Great for a buffet or desert cart. Simple lines it will work well as a console or bookshelf. Endless possibility's for decor. more photos to come check back!